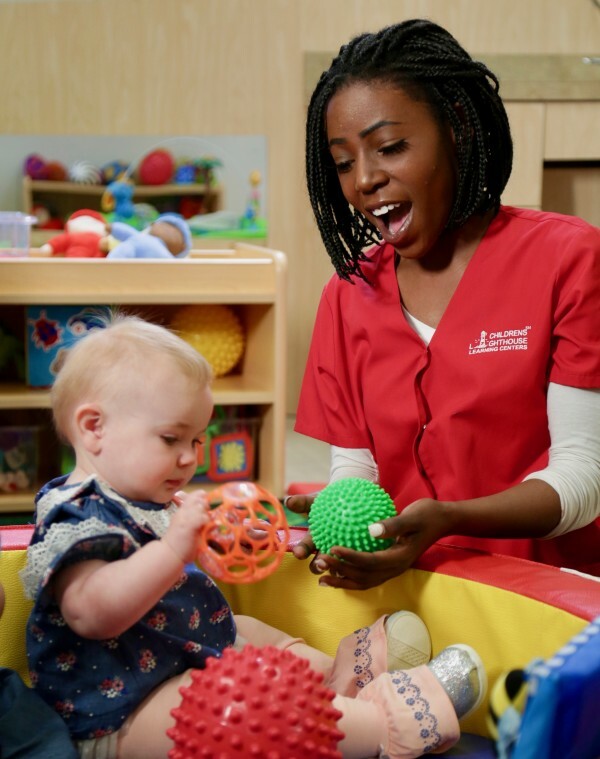 Beginning at 6 weeks of age, the Children's Lighthouse infant and toddler programs are created for your child's individual stage of development. Principles from the infant and toddler curriculum guide young ones as they transition into new stages of rising independence. Infants' and toddlers' brains are constantly growing — taking in everything they see, hear, touch, taste and smell. Classrooms are designed and furnished with stimulating, age-appropriate toys, books, games, colors and activities for children to begin to safely explore the world around them. Your infant's natural appetite for knowledge is satisfied with purposeful play like baby sign language, rhythmic songs and finger play. Your toddler is introduced to shapes, colors, letters and numbers in ways that foster an early love of learning and exploration. The Children's Lighthouse infant and toddler curriculum encompasses each child's unique activity schedule and nutritional requirements. Activities in the infant classrooms are centered around developing babies' gross motor skills, stimulating their five senses and establishing their social intelligence. Toddler classrooms have padded play structures and their own outdoor playgrounds for fun exercise where children learn to play together while developing their gross motor skills. Freshly prepared, wholesome meals provide your toddler with the nutrients and energy they need to learn, play and grow! Safety and cleanliness are top priorities in working with infants and toddlers. 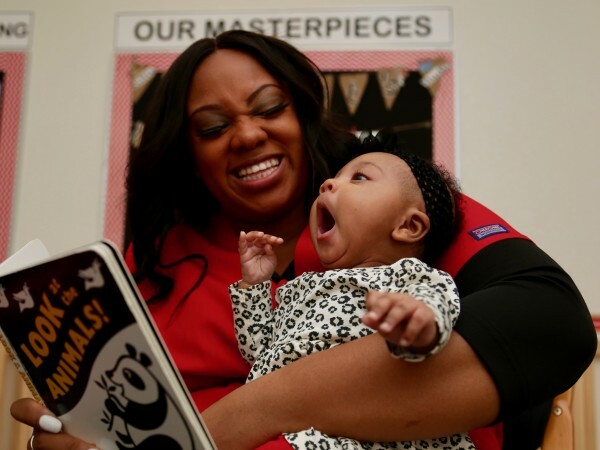 Children's Lighthouse teachers follow the American Academy of Pediatrics safe sleep standards when putting infants down for naps. Teachers also ensure the infant and toddler classrooms are sanitized throughout the day to keep areas clean as your child learns to crawl, walk and explore their world. Of all the things a child learns in their first year, none are as important as knowing they are loved and safe. Of all the things a child learns in their first year, none are as important as knowing they are loved and safe. In fact, building a child's emotional intelligence early on has shown to be a key element of future success in school. Each child that is being cared for by our teachers develops a sense of security and trust from the beginning that will help them grow into strong and confident preschoolers. 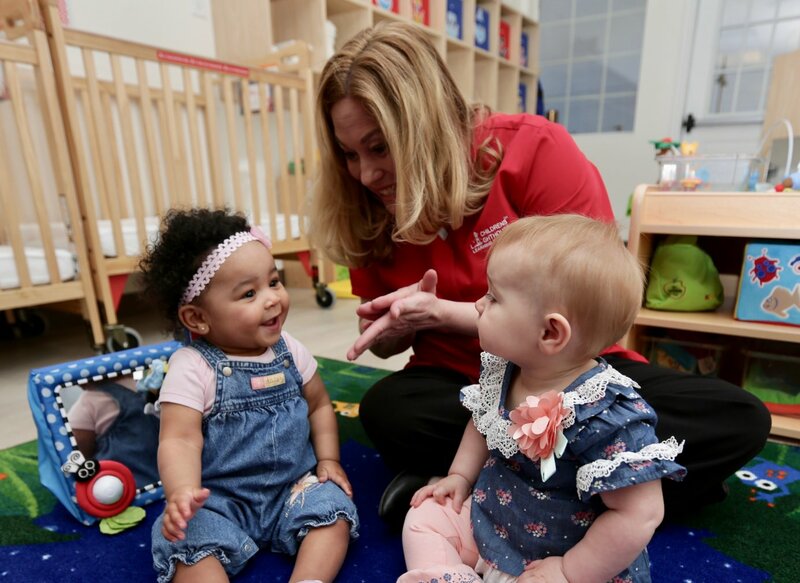 At Children's Lighthouse, you'll see babies curling up in the arms of their teachers, toddlers dancing around while getting ready for snacks, and teachers modeling the loving and kind behaviors your child will emulate throughout their life. Children in our infant and toddler classrooms are a part of our family. They learn and grow with us as we help them to advance into our values-based, educational preschool program — Lighthouse C.A.R.E.S.℠ curriculum.